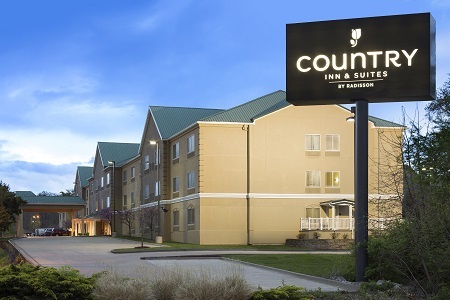 With a university and two colleges nearby, the Country Inn & Suites® by Radisson, Columbia, MO is ideal for guests looking for sports games, art exhibits and concerts in an exciting college town. 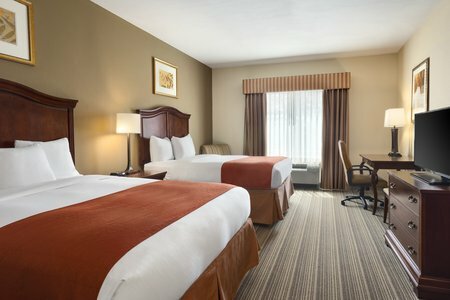 Our hotel off I-70 is within five miles of Mizzou, Stephens College, Columbia College, University Hospital and a number of other medical centers. 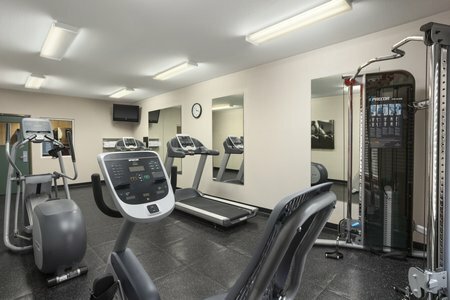 Downtown Columbia, home to shops, restaurants and music venues, is just a five-minute drive from the hotel. 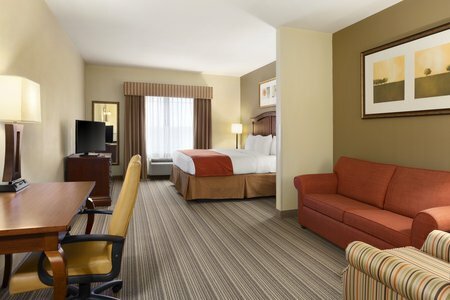 Families appreciate our One-bedroom Suites, which offer the choice of one king bed or two queen beds, plus a separate living area with a sleeper sofa for added privacy. Get an early start with our hotel’s free, hot breakfast featuring favorites such as Belgian waffles and biscuits with gravy. Looking for lighter fare? Try our selection of fresh fruit and cereals. When you’re ready for lunch or dinner, be sure to check out a variety of nearby restaurants like Shakespeare’s Pizza for specialty, hand-tossed pies or Oasis Cafe for a selection of Mediterranean cuisine. University of Missouri – Visit Mizzou, just four miles away, to cheer on the Tigers at Memorial Stadium. Check out a concert at Mizzou Arena or take time to explore one of five galleries at the Museum of Art and Archaeology on campus. Shelter Insurance Gardens – Beautiful flower, tree and shrub varieties are housed just 10 minutes away at the Shelter Insurance Gardens. Plan a visit to enjoy the live music or explore the waterfall, rock garden and Vietnam veterans’ memorial. Be sure to check out the replica 19th-century, one-room schoolhouse. Finger Lakes State Park – Pack a picnic and head to Finger Lakes State Park, located just 15 minutes from the hotel. 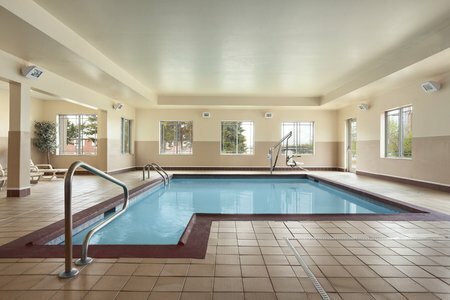 Outdoor enthusiasts can hike, admire waterfalls, fish and swim, while more adventurous guests can rent kayaks and hit the trails on mountain bikes. The meeting room at the Country Inn & Suites offers space for up to 40 guests and is ideal for business conferences or family gatherings. Access to free high-speed Internet, a DVD player and audiovisual equipment help make your presentation effective and engaging. Catering recommendations are also available.